This support article illustrates how hosts can navigate the chat screen. Red quote bubble: no notification; the host (you) will have to provide them with their access code. 1. 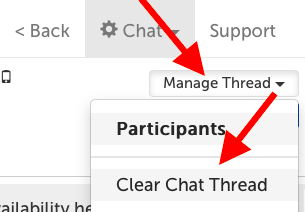 Click on the "Manage Thread" button in the upper right hand corner of the chat screen, and select "Participants". 2. This screen shows all participants in the current group chat. Each participant has a unique chat code under their name that they can use to join the chat session instead of using an invite. Each participant's notification method is listed underneath their name. "Add Participant" button allows you to add another participant to the same chat thread. The new participant will be able to view all messages in the thread. Use the "Done" button to save any changes. 3. To edit an existing participant in the chat session, click on their name to access a drop down menu. Quick Edit: Edit the contact information for a participant. Only available for Contacts, and not for participants which have an account (labled "Login Required"). Edit Contact: Navigate to the Edit Contact page. Remove: Remove participant from this chat group. The removed participant will lose access to previous and future messages unless added back. To clear a chat thread means to permanently delete ALL messages currently in the thread. Participants will still be able to post new messags. 1. Click on the "Manage Thread" button in the upper right hand corner of the chat screen, and select "Clear Chat Thread". 2. A confirmation message will appear warning that this action will permanently delete all messages in the thread. Click the "Clear Chat Thread" button to confirm you would like to do this. 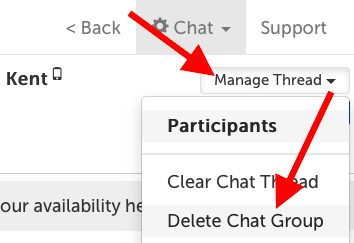 To clear a chat thread means to permanently delete ALL messages currently in the thread, and to delete a chat group means that participants that were in the group will no longer see this chat group in their chat panel on the left hand side of the chat screen. If your participants do not have a host role, and/or do not have permission to initiate contact with one another, this can also mean that they will lose the ability to ability with one another through the SecureVideo Clinical Chat feature. 1. 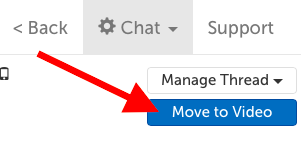 Click on the "Manage Thread" button in the upper right hand corner of the chat screen, and select "Delete Chat Group". 2. A confirmation message will appear warning that this action will permanently delete all messages in the thread, and that all users who are in the chat group will be immediately removed. Click the "Delete" button to confirm you would like to do this. 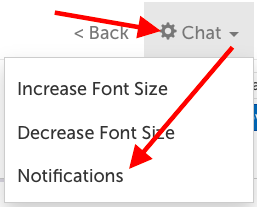 To close a chat thread means to hide it in your chat panel on the left hand side. This does not affect any other user or delete any messages. 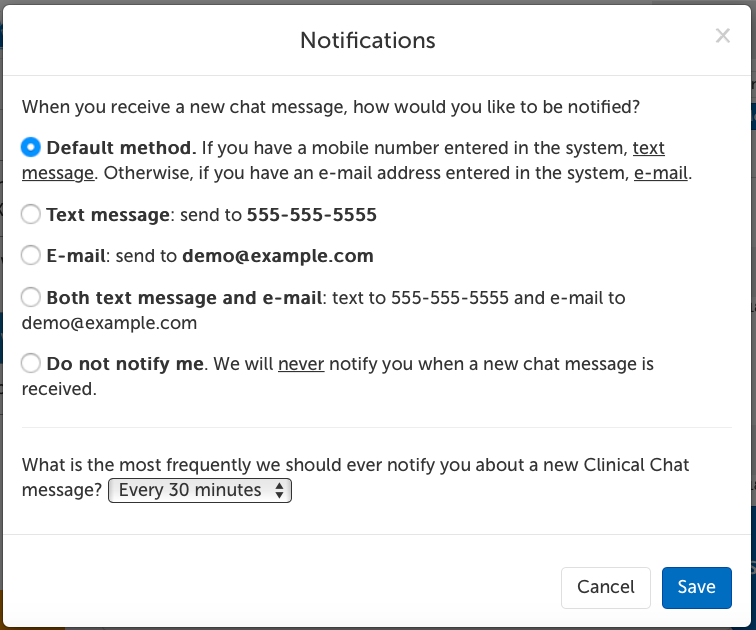 To view the messages again (as long as the messages have been retained under your organization's retention settings), create a chat group with the same participants. 1a. Click on the "Manage Thread" button in the upper right hand corner of the chat screen, and select "Close Chat Thread". 1b. 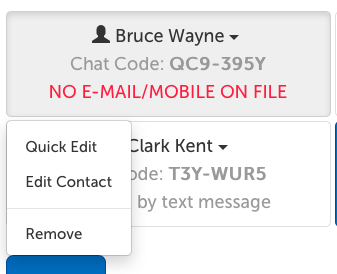 Or, click on the "x" for that chat group in your chat panel on the left hand side. 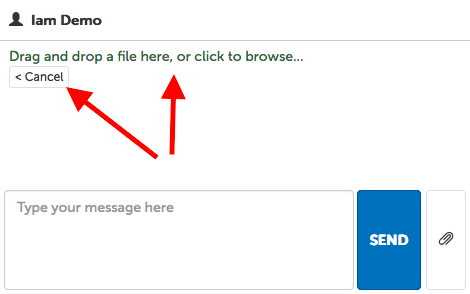 This button automatically creates a videoconference session with this chat group's participants. A join link will appear within the chat for each participant to use. Chat participants will receive a chat message notification if they are away from the chat (according to their own notification preferences), but a separate videoconference session invitation will NOT be sent to avoid redundancy. 1. 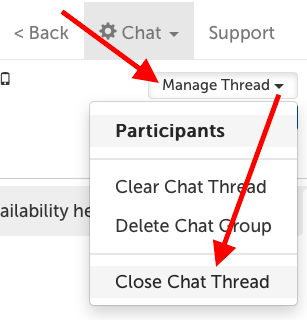 Click on the "Manage Thread" button in the upper right hand corner of the chat screen, and select "Cose Chat Thread". Note: users can only change their contact information if they have an account. If the user is one of your contacts, you will need to edit their contact information to add or edit any contact information for them. Do not notify me: Deactivate notifications. You will still an unread indicator when you log into your account.